Maybe it’s me, but, I really like to age my better wines a little longer then the norm. Some wineries release wine to be consumed immediately and others wait until the appropriate time. The Real Story of Miner Family Wines: Dave Miner’s uncle, Robert Miner, had always been a huge influence on Dave. His passion for wine was the main ingredient needed to stimulate Dave’s love for wine. Robert Miner, who owned Oakville Ranch Vineyards, fell ill and reached out to Dave. He asked Dave to run his winery during his absence. Dave agreed and made the move from Houston. This was 1993. In 1994, Oakville Ranch Vineyards hired a tasting room manager, named Emily, a Minnesota transplant. She meets Dave, they fall in love and marry. Dave remains as the President of Oakville Ranch Vineyards, but, in 1996, Dave and Emily take the leap and personally become a custom crush client. They start their own wine business, share Oakville Ranch Vineyards winemaker, Gary Brookman, and have their own label (1997). Dave’s parents, Ed & Norma, join Dave & Emily as owners. (It’s already a family business before producing the first bottle). After a year and a half of preparation, Miner Family Wines debuts in 1999. 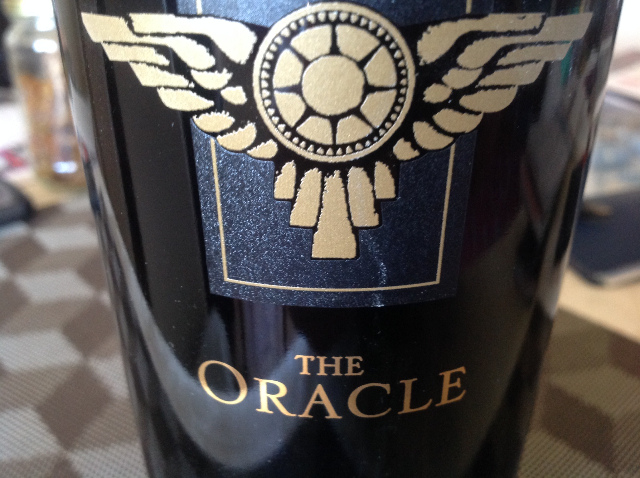 In 2001, Oracle was released and to this day is their flagship wine. 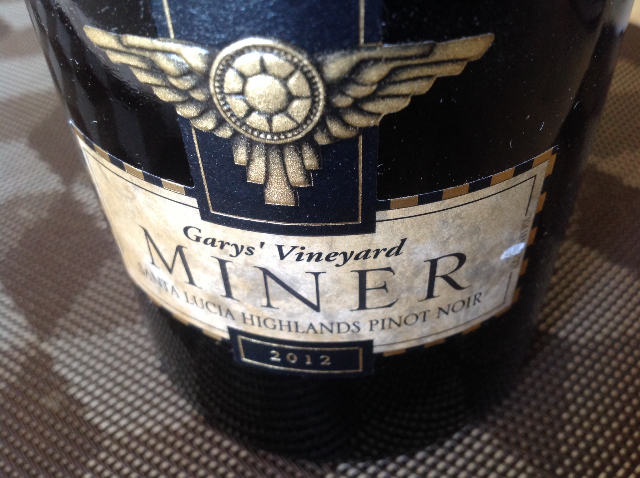 In 2004, Miner Family Wines were named as one of the ‘Top Five American Wines of 2004’ by Bon Appetit Magazine. Many awards have followed, including being honored by Wine & Spirits Magazine as a Top 100 ‘Winery of the Year’. In 2007, the 2004 Wild Yeast Chardonnay was featured at a White House dinner. Since then, on five other occasions their wines have been included on Government menus. In 2008, Miner Family Wines became totally solar dependent. 2013 marked the year that winemaker Gray Brookman was named General Manager and associate winemaker, Stacy Vogel took over as the head winemaker. Today, the winery is thriving. Dave’s goal of using the sourced land to grow international varieties has made the winery a worldwide leader. The tasting room is usually packed during the season, which extends longer and longer each year. Every year since 2005, the Benedetto Jazz Concert & Release Party takes place to release the limited production Benedetto Series Cabernet. The back story is that Mr.Benedetto makes guitars and annually makes a model that uses Miner Cabernet Sauvignon to stain the guitar's face..
Sourcing grapes from nearby grape growers has been what many of this vineyard's iconic wines have been built around. 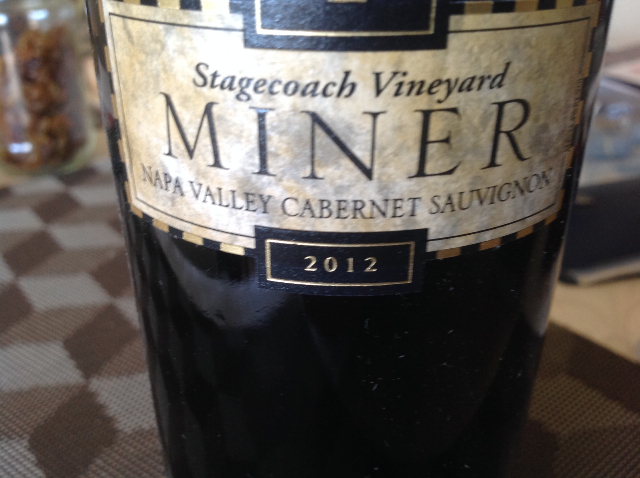 Stagecoach Vineyard, owned and farmed by Joe Krupp, is known for grapes that are age worthy and bold. The red, rocky, volcanic soil contributes favorably to the outcome of the varietals planted: Cabernet Sauvignon, Cabernet Franc, Merlot, Syrah and Marsanne. Gary’s Vineyard is located in the Santa Lucia Highlands and is known for producing some of the finest Pinot Noir grapes in California. 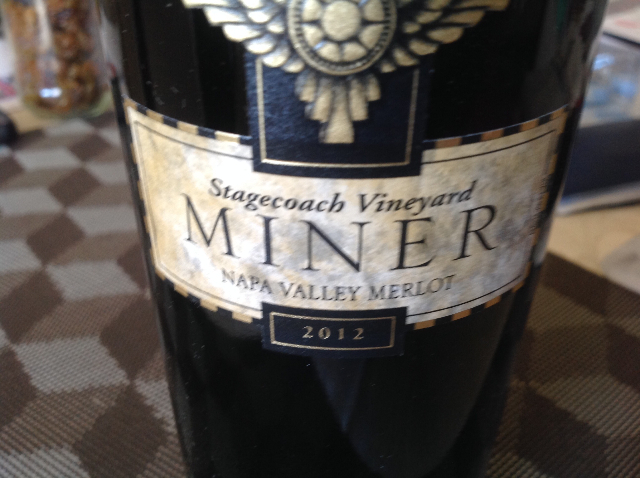 Other grape sources for Miner Family Wines include: Rosella’s Vineyard, Sierra Mar Vineyard, Genny’s Vineyard, Hudson Vineyard, Hyde Vineyard, Naggiar Vineyard and Gibson Ranch. 1180 cases produced. Hand picked. Fermentation consists of ten months and 40% new French oak, 40% stainless and 50% malolactic fermentation. Light & crisp with flavors of rome apple, orange melon, grapefruit, lime, lemon and mango. The bright acidity of the wine entertains the palate. Miner Family Wines are not minor wines.